Senior guards proud to say they were part of the school’s first undefeated Suffolk III season. 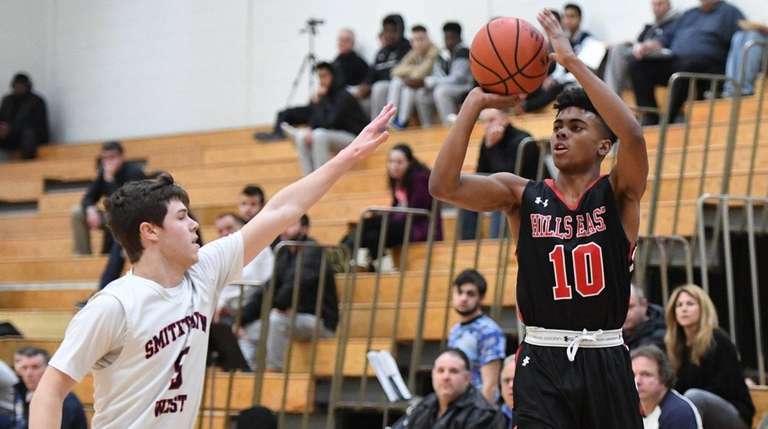 History remains the favorite subject for the Half Hollow Hills East boys basketball team. And if the Thunderbirds have their way, they’ll keep adding chapters. They completed the first 14-0 league season in school history by defeating host Smithtown West, 76-57, on Thursday night in the Suffolk III finale. “First time ever. It feels great to accomplish that,” shooting guard Julien Crittendon said. “It’s a blessing. It’s never happened before at Hills East and it’s amazing to be part of it,” point guard Savion Lewis said. According the Newsday records, the 1991-92 Hills East squad was 12-0 in League II. 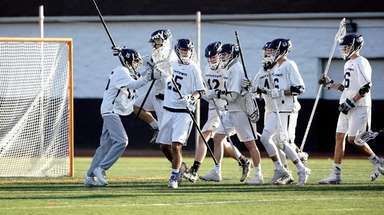 The current team rewrote one important chapter in the school’s history books last season by winning its first county championship before losing to Westbury in the Long Island Class AA title game. 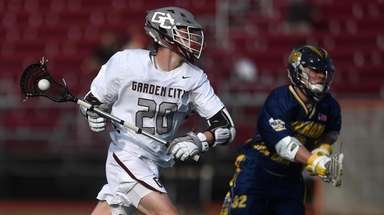 That denied the Thunderbirds a chance to go to their first state Final Four. The senior tandem of Lewis and Crittenden is the primary reason the Thunderbirds believe they can fill a few more blank pages in the history book. “We talked about this in the summer, about going undefeated in league and earning the No. 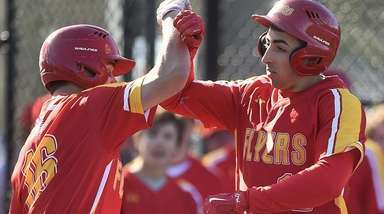 1 seed,” Hills East coach Peter Basel said. 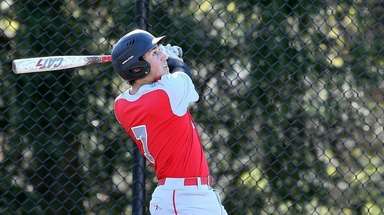 Hills East (18-2 overall) is poised to earn the top seed for the upcoming Suffolk Class AA playoffs, depending on the outcome of Saturday’s League IV finale between Deer Park (10-1) and Bellport (11-0). 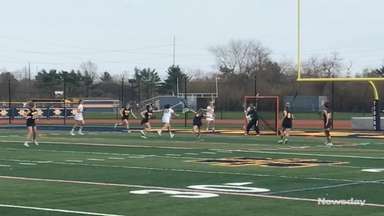 East rallied against stubborn Smithtown West (11-3, 15-4), which led 33-27 at halftime. The Thunderbirds exploded for a 28-point third quarter, partly aided by an untimely injury to the Bulls’ top player, point guard Chris Crespo. Crespo’s scoring (11 points), playmaking and defense kept Smithtown West close until he collided with Lewis and was shaken up, suffering a split lip. He was removed from the game, and did not return. Matt Behrens led the Bulls with 14 points. Lewis, who leads Long Island with a 33.5-point average, made 14 of 17 free throws and had three conventional three-point plays. Once Crespo was out of the game, Lewis and Crittendon were able to effectively press the Bulls’ guards and force numerous turnovers. Instead, they just turned another page.